In a previous post, I alluded to a recent week in which I attended a Bach concert, two operas (broadcast in HD), and a play. I have yet to write about one of the operas or the play. Although I saw the play last, I’m going to write about it now, since it’s in the midst of its run at the Folger Theatre and is scheduled to close on Sunday March 4, one week from tomorrow. 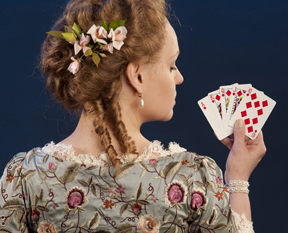 The Gaming Table features the fiendishly convoluted plot twists that usually characterize British comedy of the late 1600s and early 1700s. I for one never worry over much if I lose the thread. Usually the players are having such a mad cap good time of it that I find myself delighted and amused, even if I’m wondering, Now who exactly is she…? 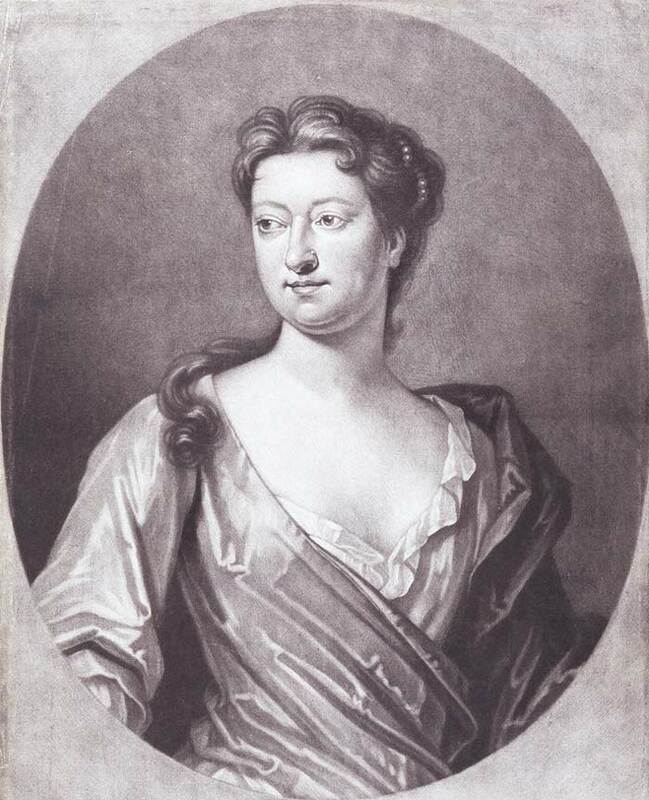 Susanna Centlivre (1669?-1723) was the most popular female comedic playwright of the 18th century. Although not hailed by the critics of her day, a time when women writers were an unsettling novelty, she enjoyed a certain celebrity. Accounts of Centlivre’s early years are an intriguing array of rumors and hearsay, but once in London she became a well-known dramatist and respectable wife of a royal cook. A prolific author, she wrote at least 16 plays, in addition to many poems and several collections of humorous letters.